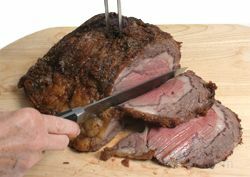 A steak cut from the rib roast, which still has the bone attached. 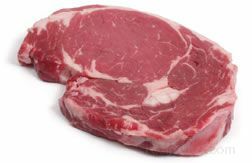 The meat is very tender, juicy, and flavorful. 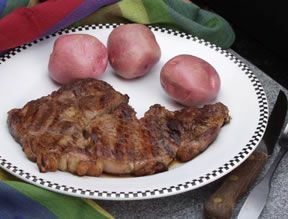 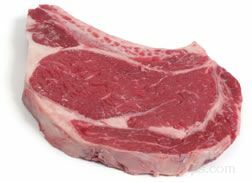 A rib steak is best when grilled or broiled and because of the generous quantity of marbling, it remains tender even when cooked to well done.